Film Love is proud to present in person filmmaker Jack Willis, who will introduce two films he made fifty years ago in Alabama and Mississippi, intimately chronicling the Civil Rights movement. The films have gone largely unscreened in the south for decades. The fiftieth anniversary of the marches from Selma to Montgomery in support of African American voter registration and the Voting Rights Act, and the recent release of Ava DuVernay's Hollywood film Selma have brought these landmark events to the consciousness of contemporary Americans. At the same time, recent events have triggered unprecedented media coverage of longtime systemic problems in the policing of African Americans. Many have been moved to take stock, to ask what has changed in the last fifty years, and what has not. The question of what the historic gains of the Civil Rights movement produced in concrete terms is not merely retrospective, but was asked continually during the era of the movement as well. Willis' film Lay My Burden Down is a prime example. Made for the National Educational Television network, Lay My Burden Down returned to the Selma area in 1966, one year after the passage of the Voting Rights Act, to ask what had changed for African Americans living in rural Alabama. The film is an important and unsparing record of the continuing poverty and disenfranchisement endured in rural Alabama. But it also shows the persistent determination among African American citizens there – to keep registering, voting, and agitating despite nearly debilitating setbacks. The film’s documentation of racist attitudes among whites also goes beyond clichés and caricatures of hatred, displaying instead the insidiousness of these attitudes among otherwise rational-seeming people. As Harry Belafonte says, much of the history of the Civil Rights movement focuses on its dramatic events and figures. Lay My Burden Down takes a different approach. It provides a relatively rare record of everyday rural life in the midst of the struggle. 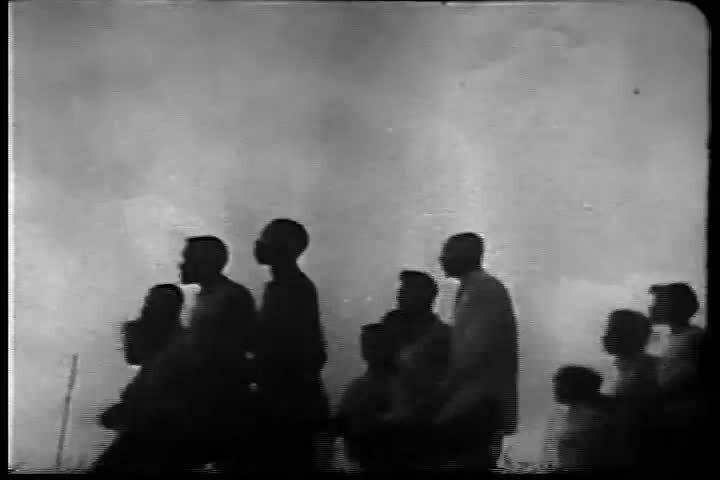 It is accompanied by The Streets of Greenwood, a companion film from 1963, centering on a voting rights rally in a field outside Greenwood, Mississippi. A young Pete Seeger performs, and Robert Moses – a crucial yet undersung figure in the movement – speaks. This film was used by SNCC (the Student Nonviolent Coordinating Committee) for organizing in the 1960s, but has been only rarely seen since then. These films are historic records of the Civil Rights movement and are relevant to us today both in what they depict and in the questions they ask. Jack Willis, who produced and directed these films, will introduce the films and take part in discussion after the screening. Jack Willis is a journalist, filmmaker, television producer and executive. His films and programs have won many awards including 7 Emmys, the George Polk Award for Investigative Journalism, and the First Amendment Award. His documentaries on race, poverty and other major social issues have been widely distributed in America and Europe. He is a Co-Founder and Sr. Vice President of Programming for Link TV, a Satellite channel currently in over 50 million American homes. JACK WILLIS’ LAY MY BURDEN DOWN AND THE STREETS OF GREENWOOD is a Film Love event. The Film Love series provides access to great but rarely seen films, especially important works unavailable on consumer video. Programs are curated and introduced by Andy Ditzler, and feature lively discussion. Through public screenings and events, Film Love preserves the communal viewing experience, provides space for the discussion of film as art, and explores alternative forms of moving image projection and viewing. Film Love was voted Best Film Series in Atlanta by the critics of Creative Loafing in 2006, and was featured in Atlanta Magazine's Best of Atlanta 2009.